Pet hybrid cats may not look like your regular house cats but they can be found in more households across America than you might think. Most of these cats are domestic house cats that are crossbred with wildcat varieties. 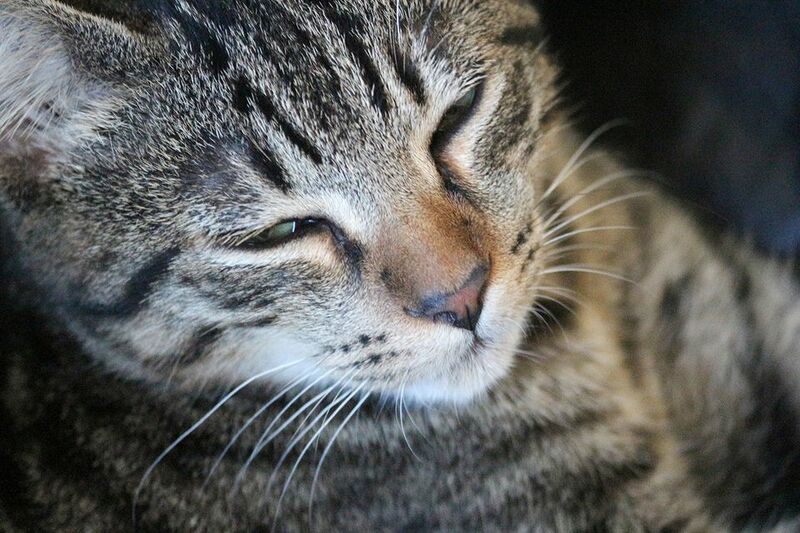 The American Association of Feline Practitioners strongly opposes the breeding of non-domestic cats to domestic cats and discourages ownership of early generation hybrid cats due to concerns for public safety and animal welfare issues. Breeding hybrids has its issues. Domestic...MORE cats have 38 chromosomes, and most commonly bred non-domestic cats have 36 chromosomes. This chromosomal discrepancy leads to difficulties in producing live births. Gestation periods often differ, so those kittens may be born premature and undersized if they even survive. If you are stuck on wanting a hybrid cat or want to learn more about them, check out these seven different breeds of hybrid cats. Some are seen pretty regularly at cat shows and veterinary offices while others are far less common, more exotic, and even extinct. Bengals are one of the more commonly seen hybrid house cats. The spotted varieties look like little leopards and they can have variations in their colors and patterns. Although they may not weigh much more than a normal house cat, they are usually a little taller and longer. Most Bengals still have a bit of a wild look to them and enjoy getting a drink from the sink and playing in the water. Savannah cats are gaining in popularity in the US. They are taller than a typical house cat and look like small cheetahs (especially the first three generations known as F1, F2, and F3). They are a cross between a domestic cat and a serval, an African wildcat. Savannah cats are very tall for house cats (which can get them into trouble) and they also enjoy the water like Bengals do. They usually weigh around 20 pounds if they are not overweight. Toygers are not wild cats at all but their markings would make you think otherwise. These regular-sized tabbies were bred to have stripes like tigers do in the wild and, in later generations, the Bengal was used to breed the larger body size out of toygers. You can consider these cats to be mini tigers with the personality of a house cat. Resembling small mountain lions, chausie cats are the result of a cross with a domestic cat and a wild jungle cat. They can weigh up to 25 pounds but are considered a domestic breed. The stone cougar is another hybrid developed from the same pairing of domestic cats and jungle cats but is a different breed from the chausie. Chausies are considered "fearless, but not aggressive" and the first three generations of a wild-bred chausie is considered to be a hybrid. After that, they are considered domestic house cats and are registerable with the International Cat Association. Another one of man's creations is the jungle lynx. Originally the jungle lynx was created by crossing a jungle cat and a bobcat but later generations have included a variety of domestic, but wild-looking, breeds. Jungle lynxs are tall and long and often have extra toes (polydactylism). They can have either long or short hair of varying colors and patterns but the leopard patterns are preferred. Resembling a small ocelot, the beautiful Bristol cat was a cross between a domestic cat and a margay, a Central and South American wildcat. It was similar to the modern Bengal cat but went extinct due to breeding issues. Despite the name, cheetoh cats do not resemble a cheesy, corn snack at all. 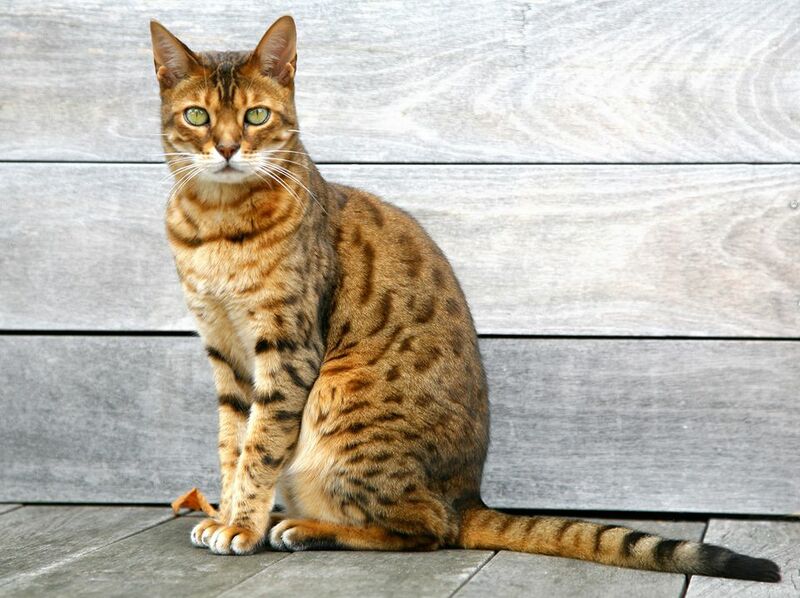 Actually, they are a cross between a Bengal cat and the ocicat, giving them a very wild look. They are typically heavily patterned, muscular, and highly athletic cats. Many other hybrid cat crosses exist and they will continue to pop up in the hybrid cat world. Jungle-bobs, jungle-curls, machbagrals, viverrals, pantherettes, Punjabis, pixie-bobs, safaris, Serengetis, and Ussuris are other hybrid cats that you may encounter if you look for them.